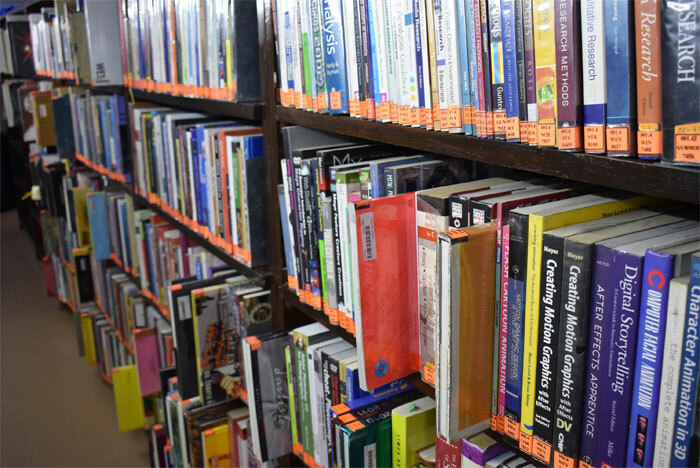 A collection of over 14000 specialised books in the Media stack the shelves, while 18 Newspapers, 33 Periodicals (Magazines and Media related Journals) and over 2700 videos adorn other shelves. CGMRC hosts a range of media and Communication related documents available in various formats. Journalism , Advertising, Public Relations, Media Production Skills, Photography, Radio, Film, Television, Sound, Video, Animation, Graphics, Cartooning, Broadcasting. Script writing, Copy writing, Reporting, Reviews, Features. Human Rights, Women, Environment, Population, Health, Corruption. Journals, Research Papers, Bibliographies, Handbooks, Dictionaries and Encyclopedias. Audio-visual material in audio and video formats are available for in-class use or borrowing. Over thousand videos on short films, documentaries, feature films and several audio programmes inculcating music appreciation and language teaching techniques form a part of the library. The collection comprises Over 2700 Audio-Visuals (Dvd, Vcd). The library maintains a fair collection of both educational (documentaries, training videos, students’ projects) as well as entertaining (feature films) audio-visuals on Advertising, Communication, Language, Health, History, Management, Science, Environment, Photography and Multimedia.